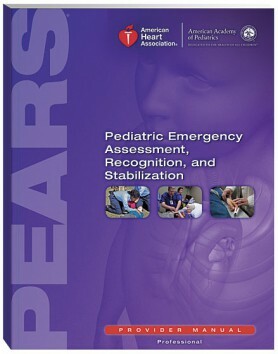 Identify a pediatric victim at risk of severe cardiopulmonary distress. Recognize the signs of impending respiratory failure or shock. Initiate the appropriate treatment for cardiopulmonary failure & arrest, respiratory distress & failure, and shock. Follow recommended procedures for preventing disability and death in children. This American Heart Association course.